Ibanez, located in Nagoya, Japan is owned by Hoshino Gakki. 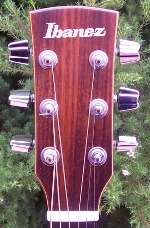 Ibanez was the first brand of guitars that produced the 7-string guitar, as well as being one of the first Japanese guitar companies to gain success importing to the US. 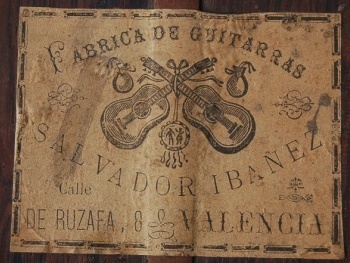 The Ibanez brand name dates well back to 1929, and were originally called 'Salvador Ibanez'(named after original founder, Salvador Ibanez[1854-1920], who resided in Valencia Spain. These guitars were produced from 1870-1930. Hoshino later purchased all rights to production and began his career in guitar making in Japan in the 1930s. The factories for the 'Salvator Ibanez' were destroyed in WWII, but manufacture begain again in the 1950s, when the name was shortened to 'Ibanez'. 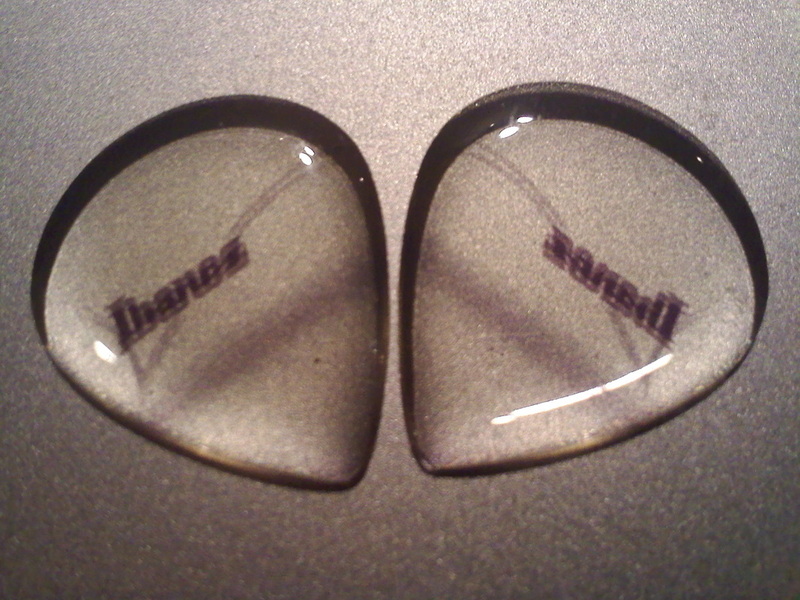 There is much information on Ibanez on the internet. Information regarding 'lawsuit models', etc. I invite you to peruse many of the sites available for further information. Seriously? A tortoise shell Ibanez? Amazing! It was reported to me that these were only given out at NAMM as samples. Close up of TS pick, medium gauge, gold foiled print.